Cover: Royalin Tiger Eye; Wood: Brown Stain. Stressless recliners offer unparalleled comfort by adjusting to your body. 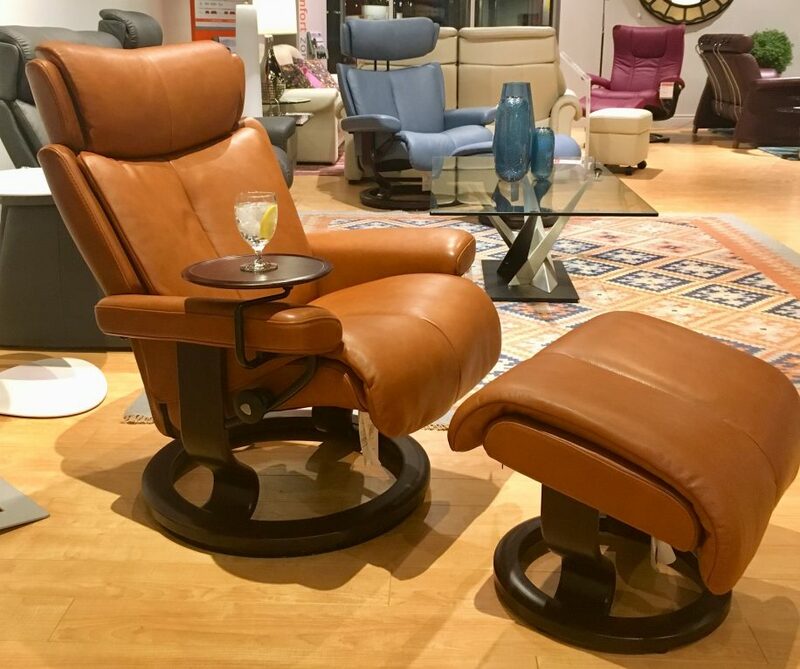 Stressless chairs and sofas even come in various sizes. Through the Glide System you will find them extremely easy to use. Whether you’re watching television or taking a nap, the patented Plus System supports your head and lower back. 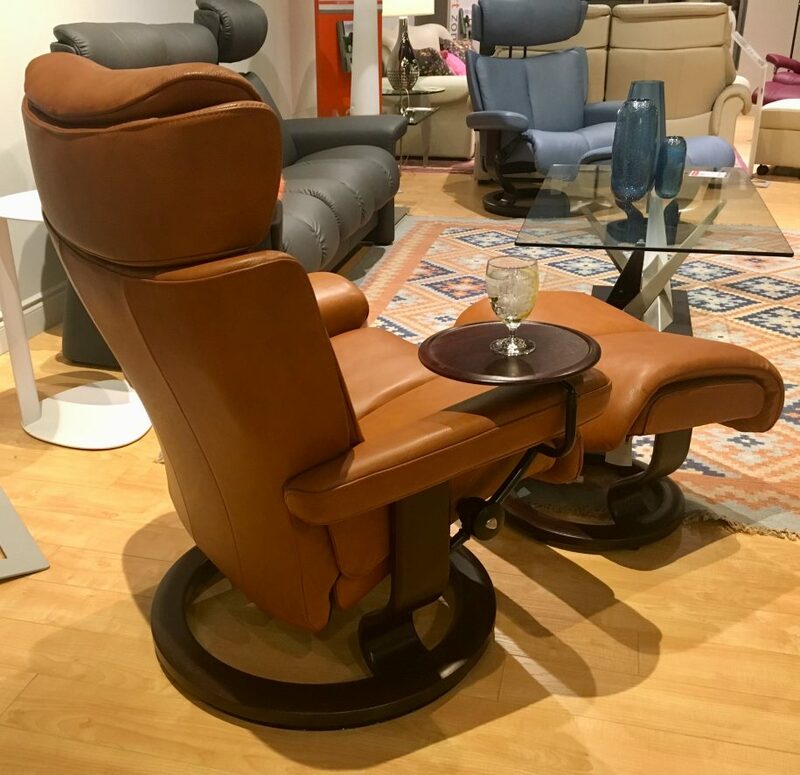 Check out one of Scan Decor’s Stressless galleries today! Click here to learn more about the Plus® & Glide® System! *Available in All 3 Sizes in Classic Base & Signature Base with Ottoman. *Available only in Medium & Large in Classic Base with Leg Comfort.